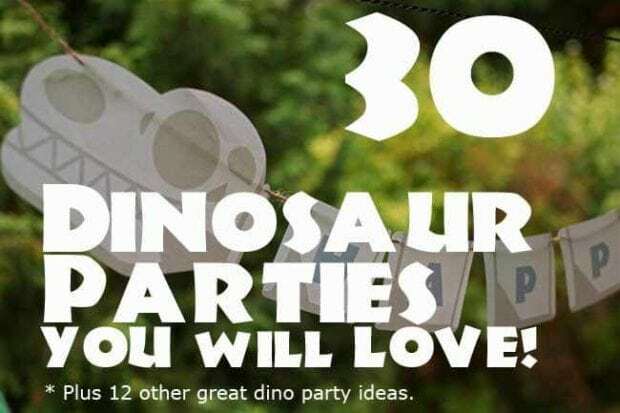 Kids will have a roaring good time creating these 21 Dinosaur Party Craft Ideas for Boys. Keep little dinos busy with this Dinosaur Plate Craft. Guests were welcomed with a vintage style, custom sign painted by Nolan’s dad that could also be used as playroom décor after the party was over. After the children finished coloring dinosaur footprints, they made dino trails around the party, adding to the décor and ambience of the theme.